With the announcement of zero-rated Goods and Service Tax (GST) beginning on the 1st of June, property is expected to become more affordable as buyers will no longer need to pay the 6% GST. This will improve buyer sentiment and encourage buyers to end the ‘wait and see’ approach that most property purchaser have adopted lately. However, the impact of the removal of GST alongside the return of Sales and Service Tax (SST) will depend on the final SST list since some items, like construction materials, could be exempted. 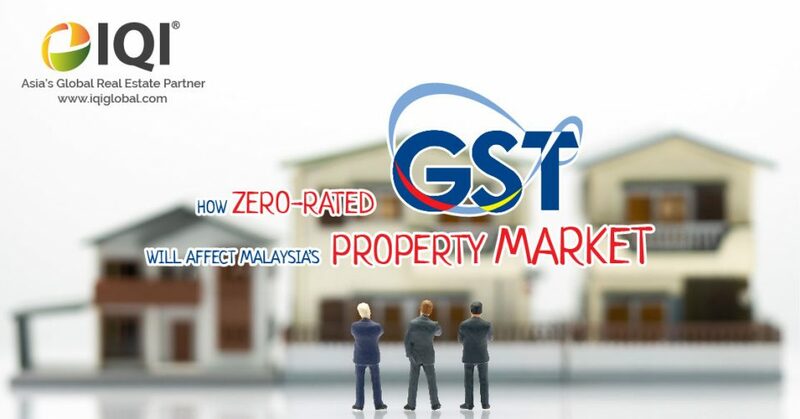 Some property experts have said that the zero-rated GST is a smart move that will galvanize the real estate market, especially the commercial sub-sector and residential properties. Overall, the real estate market is expected to improve from July onwards and should perform better during the second half of 2018. The market will be positive in volume and value when compared to 2017. The predicted growth will initially be small, at 2%-4%, before going up exponentially in 2019 and 2020. Developers are also expected to be more positive in terms of new launches in 2018. They are also looking to focus more on the types of properties which are more in demand and avoid areas where demand is low. For now, the future seems bright for the property industry and we are cautiously optimistic about the days to come. Want to know more about how 0% GST will affect property? Give us a call, send us a message at hello@iqiglobal.com or call us at 012-299-6155 or 037-450-6655.